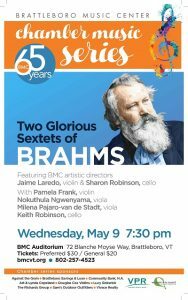 On May 9, “Two Glorious Sextets of Brahms” will feature BMC artistic directors Jaime Laredo on violin and Sharon Robinson on cello, with Pamela Frank, violin; Nokuthula Ngwenyama, viola; Milena Pajaro-van de Stadt, viola; and Keith Robinson, cello. Winner of the Avery Fisher Recital Award and Grammy Nominee, cellist Sharon Robinson is recognized worldwide as a consummate artist and one of the most outstanding musicians of our time. Ms. Robinson divides her time between teaching, solo engagements, performing with her husband, violinist and conductor Jaime Laredo, and touring with the Kalichstein-Laredo-Robinson Trio. Critics, audiences and fellow musicians respond to what the Indianapolis Star has called “a cellist who has simply been given the soul of Caruso.” She is the Founding Director of the Advanced Piano Trio Program at CIM, as well as the director of the Cleveland chapter of Music for Food, which has raised funds to provide thousands of meals for food-challenged families in the Cleveland area. Performing for over five decades before audiences across the globe, Jaime Laredo has excelled in the multiple roles of soloist, conductor, recitalist, pedagogue and chamber musician. Since his stunning orchestral debut at the age of eleven with the San Francisco Symphony, he has won the admiration and respect of audiences, critics and fellow musicians with his passionate and polished performances. Mr. Laredo is the 2017 recipient of the Artist Teacher Award from the American String Teachers Association. In the Preparatory and Continuing Education department, Mr. Laredo teaches in the Young Artist Program (YAP), which requires a video audition. 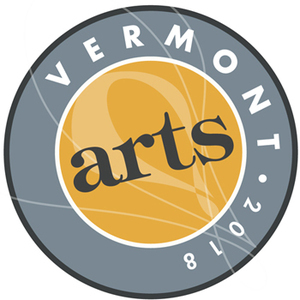 The concert is dedicated to Michael Tree, a great violinist, violist and musician, a long-time resident of Marlboro, VT, and member of the Marlboro Music Festival since the late 1950’s. Michael meant so much to those performing May 9th, and they will celebrate his extraordinary life with joy and gratitude.